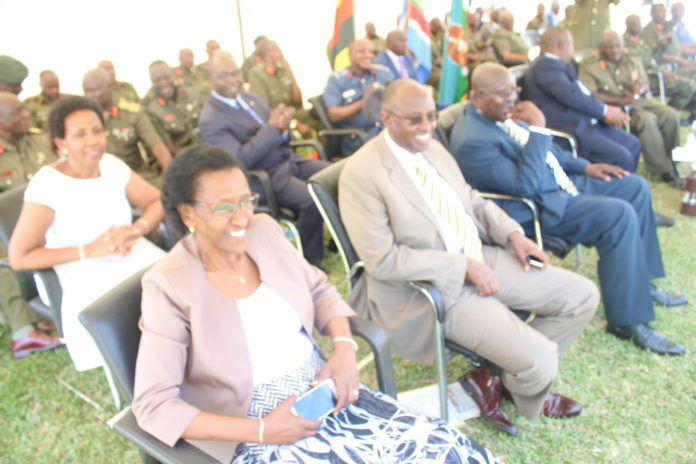 Wrote Letter: Ministry of Defence PS Rosette Byengoma(foreground) at a past event. Jinja – The ministry of Defence has directed vendors to leave the Amber Court market in Jinja Municipality by 30th December this year. The directive is contained in an eviction notice dated 30 September and addressed to the town clerk. Signed by permanent Secretary, Rosettie K. Byengoma, the notice reads that the land used by the country’s largest fresh fruits and food market is a UPDF land and part of Gadhafi Barracks. “The UPDF has decided to use this land for military activities and it will therefore cease to operate as a market,” read the letter. Over 2,000 vendors are estimated to be operating in the market. Most of them constructed the stalls with money from their own pockets. A section of vendors interviewed for this story said they have nowhere to go. Next articleUganda at 56: What is the way forward?